Is your kiddo with autism calm and compliant in therapy yet unruly at home? It’s quite a common scenario and one that’s easy enough to fix. The remedy: Parent training. When you know how to handle troublesome behaviour the way Kevin’s ABA team does, you’ll notice positive changes in his demeanor at home. That’s a promise! Here’s what you need to know about the value and power of parent training. It’s when you’re taught tools and techniques to effectively manage Katie’s challenging behaviour and how to implement key components of her ABA program at home. Training is often confused with parent education, but they are not the same. The latter focuses on explaining autism without teaching you the strategies to handle, for example, meltdowns. More knowledge: When you’re trained in ABA interventions, you’ll better understand what, how and why your therapists do what they do with Kevin. As such, you’ll feel more invested in his progress and programs and empowered to integrate these helpful strategies into your daily routine at home. Improved behaviour: A study published last year in the Journal of the American Medical Association discovered that when parents are properly trained (and not only educated), negative behaviour in their child with ASD is reduced. We wholeheartedly agree, as we witness this frequently. 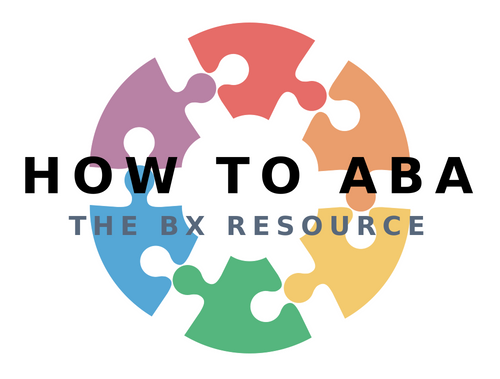 When all members of a client’s team – therapists, teachers, parents, caregivers – handle tantrums or aggressive outbursts with the same effective ABA strategies, problem behaviours are quicker to dwindle or go away. Without adequate training, however, you may inadvertently react to meltdowns in a way that perpetuates them. Yikes! 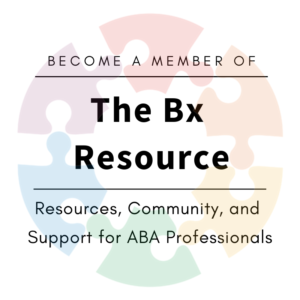 Expedited learning: Follow through with what your ABA therapist is teaching Katie – practice makes perfect ­– and she will acquire the skill more quickly. Let’s say she’s learning to use her words. When you and the ABA team all withhold Katie’s drink until she says “juice,” she’ll start to request quite quickly. Whereas if you, when the therapist isn’t around, give Katie beverages before she asks, she’ll be confused about when and why to talk and she’ll be slower to use her words consistently. The bonus: Practicing skills with your sweetie throughout the day in a variety of settings (be it the grocery store, in the car, while making dinner) helps her generalize skills a lot faster than in therapy alone. Your Kid Mechanix ABA team will provide you with ongoing training to keep you in the loop about Kevin’s new skill targets and teaching strategies. We’ll work with you one-on-one to teach you the ropes. If that’s not an option for you right now, then consider our budget-friendly, easy to follow online parent training modules. This entry was posted in ABA, Asperger's, Autism, Behaviour, children, communication, education, parents, Uncategorized and tagged ABA, applied behavior analysis, ASD and behaviour, autism and behaviour, autism and behaviour tips, deal with kids behaviour, how to handle behaviour and autism, how to handle hard behaviour ASD, kid mechanix, parent training, parent training autism, shayna gaunt. Bookmark the permalink.